Contenders in the 2018 Jaguar Classic Challenge will compete on two of the world’s best drivers’ circuits in the late summer as the season concludes with races at the Oulton Park Gold Cup and the Spa Classic Six-Hour meetings. Following races at Donington Park, Silverstone Grand Prix circuit and Le Mans, two more fabulous tracks will now wrap up a superb season as the racing Jaguars visit Oulton Park in Cheshire (25/26 August) and Spa-Francorchamps in Belgium (September 14-16). Entries for both races are now available via the HSCC Club Office and two bumper fields are expected after the opening three races recorded average grids of over 40 cars, with competitors from across the UK and Europe. The Jaguar Classic Challenge, which is organised by the Historic Sports Car Club in conjunction with Jaguar Land Rover, is open to XK series, C-type, D-type, Mk1 and Mk11 saloons and pre ’66 E-types running to original specification. 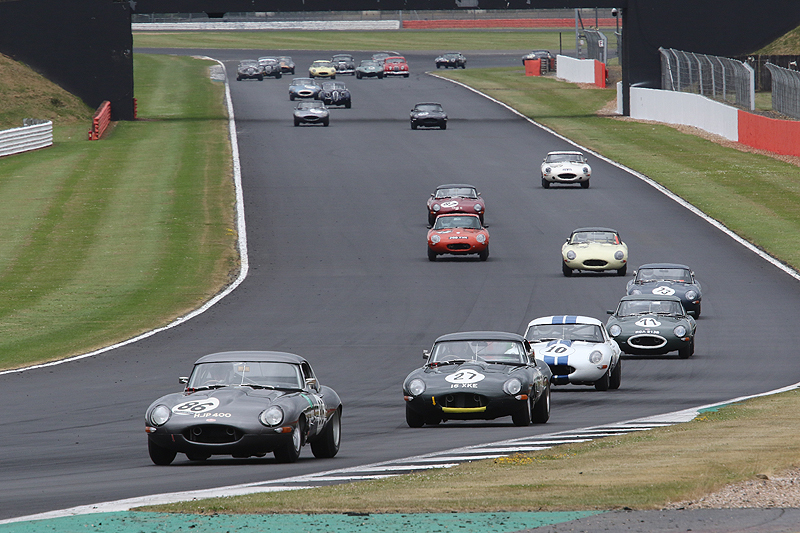 The race series ran for the first time in 2015 and built on the success of the earlier E-type Challenge.